Step 1 Cook the shell pasta to al dente according to the manufacturer's directions, then rinse under cold running water to cool completely. Step 2 In a large bowl, combine the pasta, lemon zest, thawed peas, cut zucchini, tomatoes, basil and Parmesan. Drizzle over olive oil to coat and toss gently. The salad will keep up to 2 days, covered and refrigerated. In Recipes-list.com we have selected the most viewed recipes from category - Quick and easy Salads Vegetarian . Enjoy the best recipes specially selected for you! 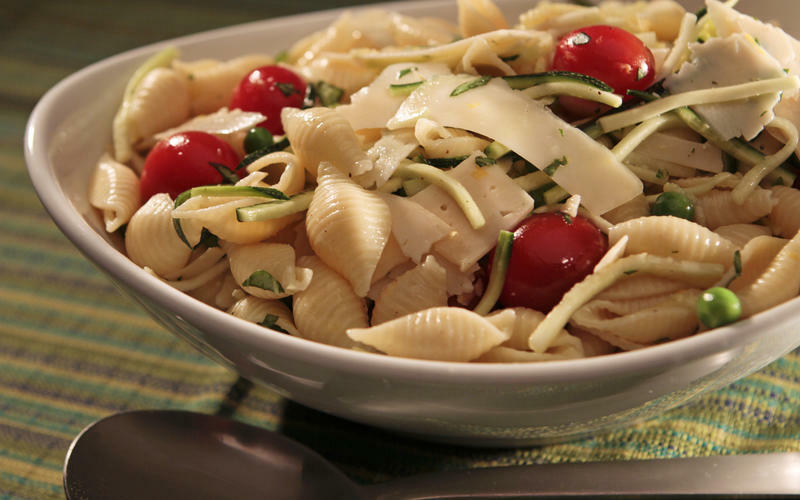 Wolfe's Market's shell pasta salad with lemon zest is the right choice that will satisfy all your claims.